India has always welcomed immigrants and refugees. The Syrian Christians who fled persecution found a safe home here. As did the Malabar Jews. A few years later, the Baghdadi Jews followed and so did the Parsis of Iran. Under Indian law, the only way to get a long-term permanent residence visa is to either be married to an Indian citizen, to be of Indian descent and be eligible for a Person of Indian Origin Card or an Overseas Citizenship of India. India is home to over 40,000 Rohingya Muslims. 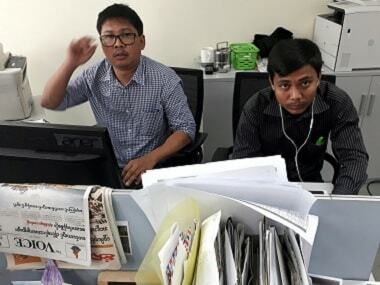 The refugees claim they are ethnically Burmese even though Burmese government denies that claim and says they are not citizens. Violence in the Rakhine state has resulted in many Rohingya having to flee their homes and seek refuge elsewhere. The Centre considers them illegal immigrants and not refugees. Union minister Kiren Rijju told Parliament that the Centre has directed state governments to constitute district-level task forces to identify and deport the Rohingya. Many of these refugees hold registration cards issued to them by the United Nations High Commission for Refugees (UNHCR). India is not a party to the UN Convention Relating to the Status of Refugees 1951 nor the 1967 optional protocol to the convention. The UNHCR helps facilitate long-term visas for Refugees based on UNHCR recommendations. These are ‘X’ category visas issued with special long-term stay endorsements. India doesn't have a refugee visa category, neither does it have a clear system of refugee travel documents. A UNCHR determination of refugee status is meaningless under Indian law as the final decision to issue a visa rests with the Centre alone. Which means that refugees are treated on par with every other foreigner under the Foreigners Act, 1946 and unless they have the permission of the Centre to remain in India, they may be arrested, interned and deported to their country of origin. It is here where the issue of deporting the Rohingya gets very tricky for the Centre. Say tomorrow, a US national comes to India on a tourist visa and is found working as a trapeze artist in the Great Bombay Circus. The immigration officer could arrest him, place him in a holding cell and put him on the first fight back to the United States. All our Bureau of Immigration will do is take his passport, neatly stamp it with "Deported from India" and if they're feeling especially nasty, affix an endorsement saying "Entry into India Banned" and send him home. It's pretty straight forward. It isn't a matter of where the person is from if he's violating the conditions of his stay. But with the Rohingya, the nationality of the person forms the crux of the matter. As discussed earlier, there is an ongoing dispute as to which country the Rohingya belong to. Section 9 of the Foreigners Act, 1946 puts the burden of proof of proving nationality on the person who is being charged under the act. So if an Indian were charged with being a foreigner it would be for the Indian to prove that they were in fact Indian. Section 8 says that where the nationality of a foreigner is uncertain, the nationality ascribed shall be the one with which the foreigner seems to be most closely connected to for the time being in interest or sympathy. Or if the nationality is uncertain, the last country to which the foreigner was connected. 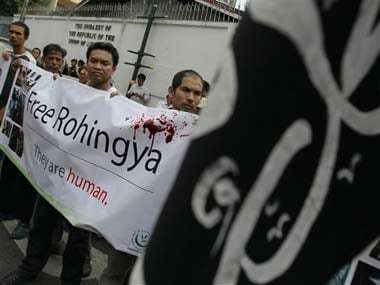 Which means in case of the Rohingya — whose nationality is uncertain because the Burmese government refuses to recognise them as citizens nationals — the test boils down to the last place with which they could prove a substantial connection and the interest of sympathy that was also recognised by the place with which they assert as their own. This roundabout situation could result in them arriving at India as their nationality. If they trace their origin to labour that came in from Bengal Presidency, they trace their origin to India and having not acquired any other nationality, India would be the answer to the question posed under Section 8. Article 8 of the Constitution also gives a right to people residing outside India with a grandparent born in India as a defined under the Government of India Act, 1935 (excluding Burma) to register as Indian citizens. If a Rohingya qualifies under this category, he can claim Indian citizenship via registration with the appropriate authorities. 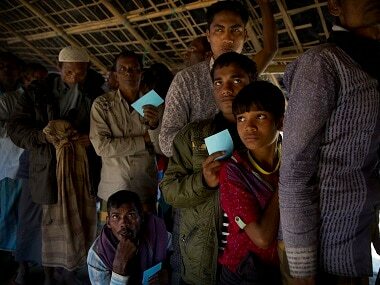 In this case the Rohingya claims citizenship as a matter of constitutional right, the evidentiary presumptions as to parentage will work in the favour of the Rohingya. But on a broader note, if India is to deport the Rohingya, the first logistical hurdle she will face is trying to figure out where she will deport them. These refugees face a very real risk of violence if they return to their home countries. Which is why the UNHCR has recognised them as refugees fleeing persecution and registered them as such. Deporting them to such a place may violate their constitutional rights. India's has two types of fundamental rights. Some rights — civil and political rights such as freedom of speech and assembly — are solely for citizens. Another set of rights apply to all people: The right to life and equality. The Rohingya who live in India are entitled to exercise these rights. 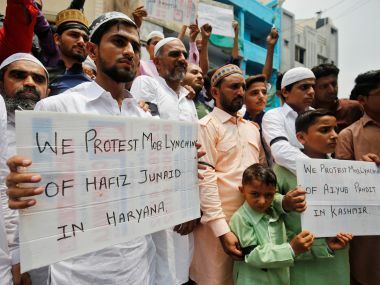 One might argue that knowingly sending refugees to a place where they will be persecuted violates their right to life under Article 21 of India's Constitution. The Supreme Court in a catena of cases starting from DK Basu versus State of West Bengal (1997) 1 SCC 416 held that Article 21 includes within it a right against cruel and degrading treatment. This is similar to a provision under Article 3 of the European Convention on Human Rights. In Soering versus United Kingdom 161 Eur. Ct. H.R. (ser. A) (1989) the European Court of Human Rights interpreted Article 3 in a manner that prevented the UK from deporting a prisoner to the US where the prisoner would likely face execution. The reason was that the execution was incompatible with Article 3 and that the UK's action would facilitate a violation of the prisoner's rights. Similarly, if the Rohingya were to be sent back to Burma by India, their Article 21 rights would be violated as they would also be subject to cruel and degrading treatment. Therefore, there can be a potential constitutional challenge to block any move by the government to deport the Rohingya. If the government manages to facilitate an agreement with a neutral third country where the Rohingya would be entitled to a safe environment and then proceeds with the deportation, such an effort may be legally tenable. Though, the quickest possible solution to this crisis would be for India to use its mandarins at the Ministry of External Affairs to sit down with the Burmese and the Bangladeshis and hash out a solution. 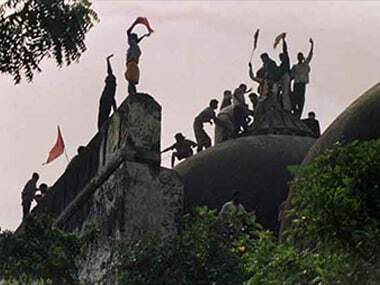 India, thanks to the events of the last two hundred years, is going to have to deal with this issue. Whether she likes it or not.